Brown Paper Press, 9781941932087, 352pp. A page-turner, at once fascinating and deeply moving, "The Inheritance of Shame" is a memoir with shades of "A Little Life" by Hanya Yanagihara and enough hope and joy to inspire anyone who has ever been shamed by their family or society. Author Peter Gajdics spent six years in a bizarre form of conversion therapy (delivered in the form of primal therapy) that attempted to "cure" him of his homosexuality. Kept with other patients in a cult-like home in British Columbia, Canada, Gajdics was under the authority of a dominating, rogue psychiatrist who controlled his patients, in part, by creating and exploiting a false sense of family. 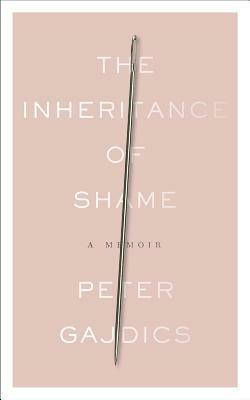 Juxtaposed against his parents' tormented past-his mother's incarceration and escape from a communist concentration camp in post-World War II Yugoslavia, and his father's upbringing as an orphan in war-torn Hungary-The Inheritance of Shame: A Memoir explores the universal themes of childhood trauma, oppression, and intergenerational pain. Told over a period of decades, the story shows us the damaging repercussions of conversion therapy and reminds us that resilience, compassion, and the courage to speak the truth exist within us all. All over the United States and Canada, districts, cities and states are banning conversion, ex-gay and reparative therapies. This book offers the most complete and compelling reason for those bans to date. A groundbreaking memoir, "The Inheritance of Shame" offers insights into overcoming all kinds of shame, especially that which has trickled down from previous generations, and into the complicated but all-too-worthwhile process of forgiveness. This work also is a powerful example of "healing through memoir.